Celebrate the luck of the Irish, with the return of the SALT Bar Crawl and St. Patrick’s Day Block Party, along with Guinness, the event’s featured brew. Dance along to authentic Irish music from 3 Leaf Clover, starting at 5 p.m. Enjoy featured drinks from Village Bottle Shop & Tasting Room, Pitch Sports Bar and The Boiling Crab. Butcher & Bird will serve up great food. DJ Romeo Valentine entertains starting at 8 p.m. The SALT Bar Crawl continues until closing times of the bars. Lyft users can get a discount on rides to and from the SALT Bar Crawl. New users can receive $5 off their first four rides by using the code, SALTOURKAKAAKO. Existing users can receive 20 percent off two rides to and from the Bar Crawl by using the code, SALTBARCRAWL2. Special is good from 2/1 thru 2/8 for a FREE order for Championchips with any order of food that totals $15 or more! Show your server this post from FB or IG to redeem. 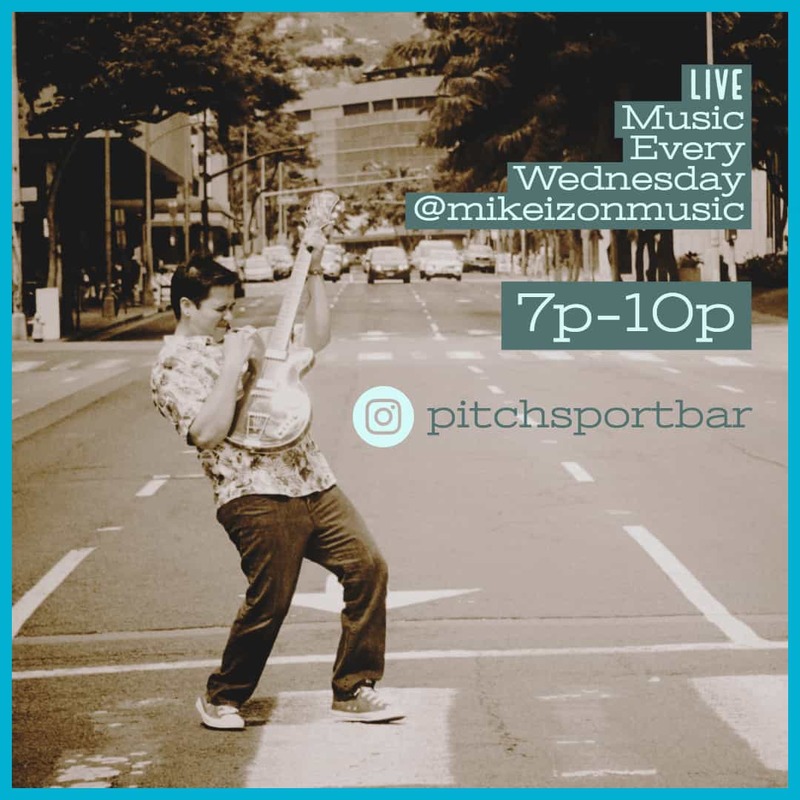 Come on down for some great acoustic vibes every Wednesday at PITCH SPORTS BAR for LIVE music and $4 Heineken / Heineken Light / New Castle / Strongbow Hard Cider / on special. 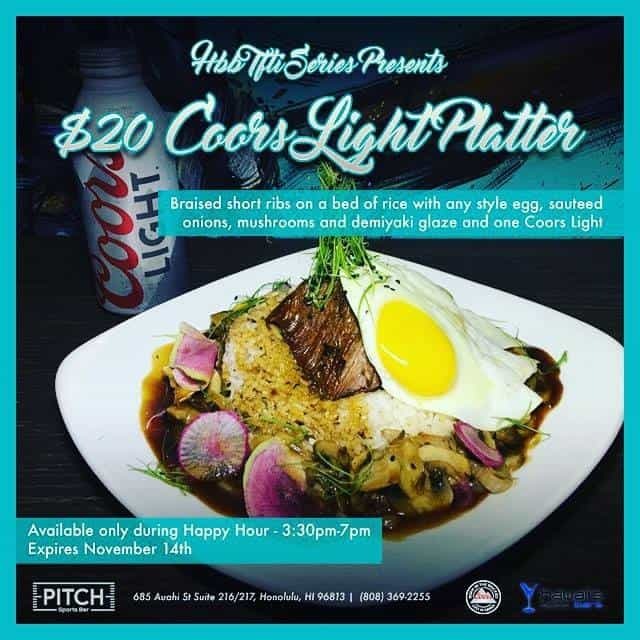 Good till 11/14/18 Coors Light Pint platter for only $20 Braised short rib on bed of rice w/ any style egg sautéed mushrooms and onions and demiyaki glaze Available during Happy Hour only! Now open Sunday mornings at 6:30a for NFL Football. 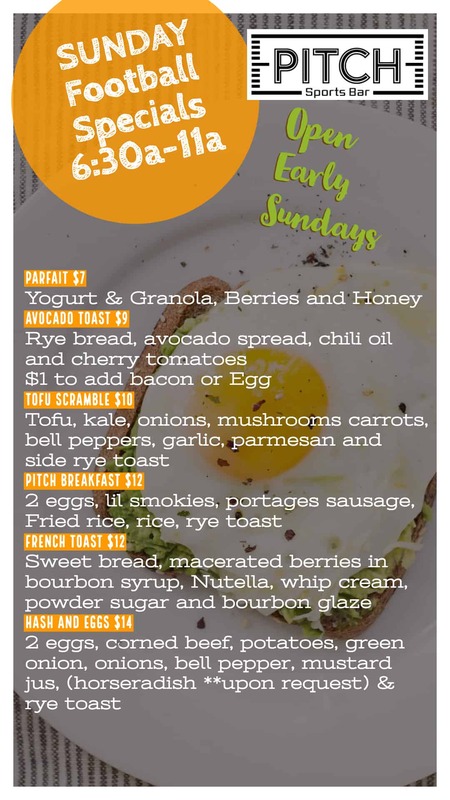 We are super excited to announce we have new breakfast special early bird menu going to 11a.